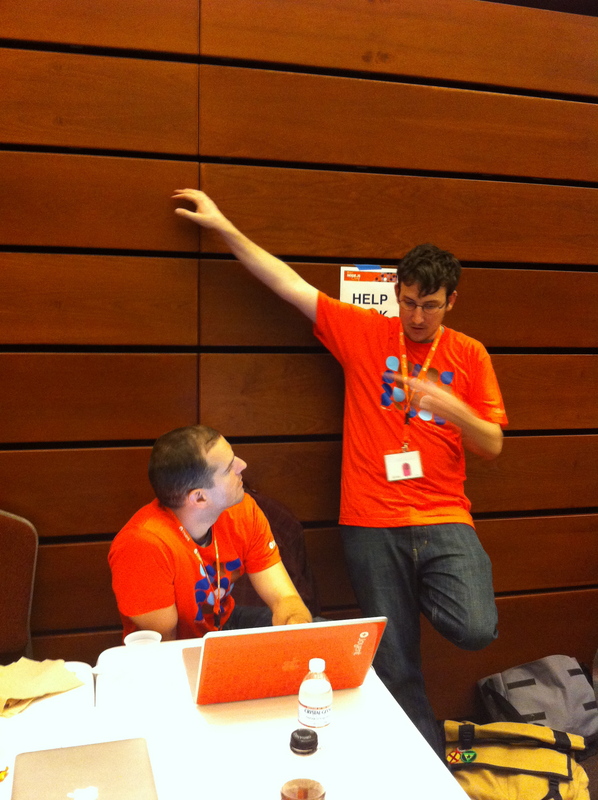 By the summer of 2011, with hard work from many in Joyent ops, support, marketing, and engineering, this training was being delivered to customers worldwide (by Shannon, Ryan, PeterG, Nima, Aaron…). In August, 2011, Joyent decided to open source SmartOS, and appointed me the Community Architect (the launch, on August 15th or 16th, unfortunately coincided with the death of my father). I managed setting up the website and wiki for SmartOS, while also helping to transition the old illumos materials and mailing lists to new homes, and generally trying to keep things running smoothly and people working together in a community that suffered from Post-Oracle Stress Disorder. By request of the community, I managed an attempt to create a non-profit illumos Foundation. This involved discussion, bureaucracy, and more discussion. After over a year of wrangling, a foundation was deemed unnecessary and the attempt abandoned (leaving me with an unwanted illumos Corporation to my name, which was then more difficult to shut down than it had been to start). Many thanks to those who worked hard with me on this effort, especially Bayard Bell and Gordon Ross for moral and material support. Along with Milan Jurik, they also gave the foundation’s only cash donations, from their Google Summer of Code earnings. Thanks especially to Rich Lowe, Robert Mustacchi, Keith Wesolowski, and Josh Clulow for their important and ongoing contributions to the community: management, sanity, infrastructure, documentation, irc presence, and of course code. Dec, 2010: My first events for Joyent: filmed Ryan Dahl speaking at Splunk, then live streamed a NodeCamp in SF. Mar, 2011: Various activities for the launch of Brendan Gregg’s book DTrace: Dynamic Tracing in Oracle Solaris, Mac OS X, and FreeBSD, which I had also helped edit. June, 2011: Filmed and streamed an illumos meetup. Jan, 2012: At the request of the conference organizers, I encouraged Brendan Gregg and Robert Mustacchi to speak at SCaLE, and filmed them as well as Garrett D’Amore talking about SmartOS and illumos. 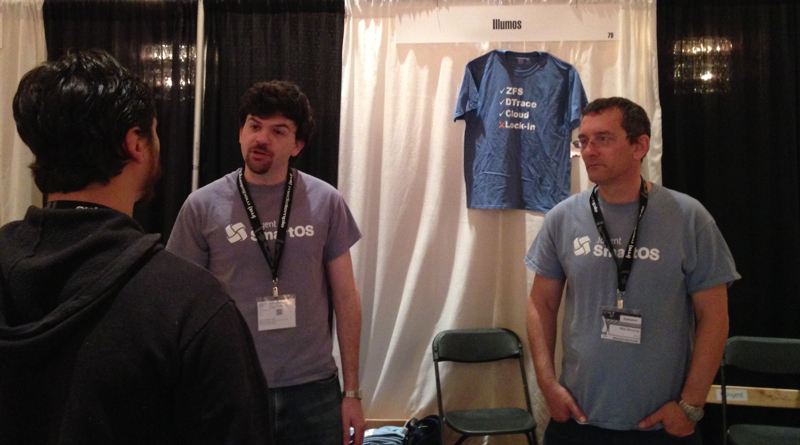 Also ran a BoF for Joyent and helped with an illumos booth. Also that month, filmed and streamed an illumos meetup hosted by Delphix, largely about their work on ZFS. 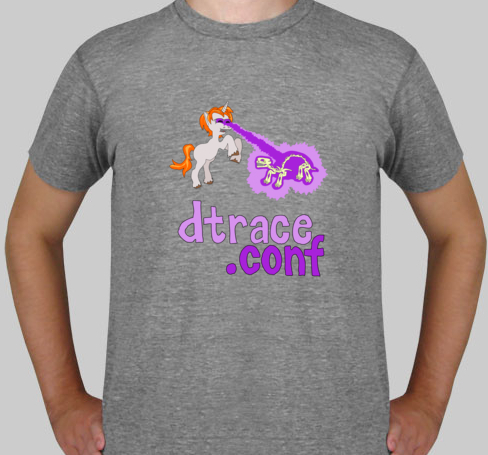 Apr, 2012: dtrace.conf – A tech conference which I organized, ran, live streamed, and filmed. July, 2012: Bryan, Brendan and I spoke at FISL in Brazil, and brought back video of all of us, plus Randal Schwartz. Epic amounts of cachaça were consumed. Aug, 2012: Hosted BayLISA at Joyent for an evening of talks on SmartOS. With about 70 attendees, it was the largest BayLISA gathering ever. Oct, 2012: ZFS Day and illumos Day – Two days of conferences organized by me, funded by sponsorships from Joyent and other illumos-interested companies. We also held the 2nd Annual Solaris Family Reunion during one of the evenings. The day after all that was done, I pitched in to help my Joyent marketing colleagues in an emergency (our A/V person had been hit by a car). 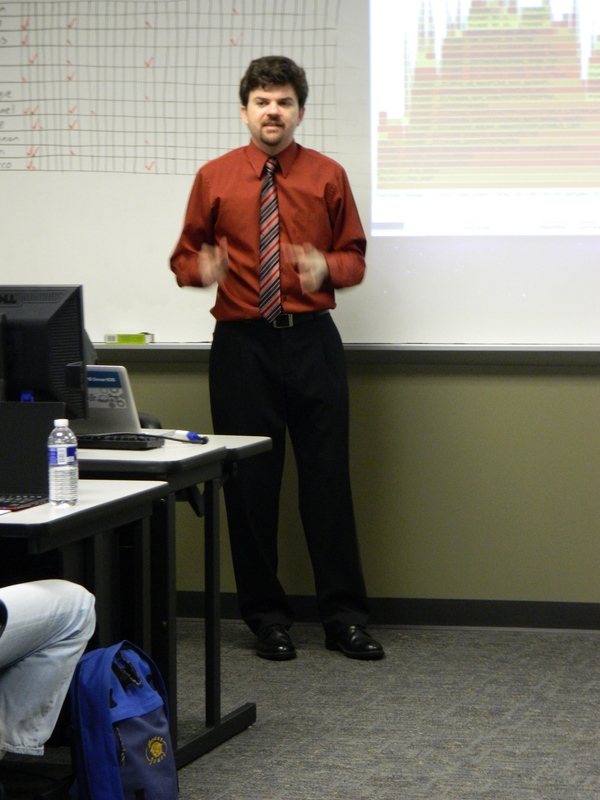 I provided two solid weeks of A/V work, including UStream live production, for an online nodestack event. May, 2013: Filmed a bunch of people speaking about DTrace at LSPE, while David Masciorini worked the room with his usual flair, and Rachel Balik was the social media maven. July, 2013: At Joyent, I organized A Midsummer Night’s System with a large slate of speakers and a full house of attendees. Also that month: I met with my peers at the Community Leadership Summit in Portland, and filmed Brendan’s OSCON talk, then filmed Brendan’s alpha delivery of his Cloud Performance course, based on his forthcoming new book, to Joyent staff in Seattle. Sept, 2013: Hosted the 3rd Annual Solaris Family Reunion, where everyone was invited to give a short talk about “What I’ve been doing since Sun”. One of the speakers was Bill Moore, former Sun colleague, who had gone (with other Sun colleagues) to DSSD. 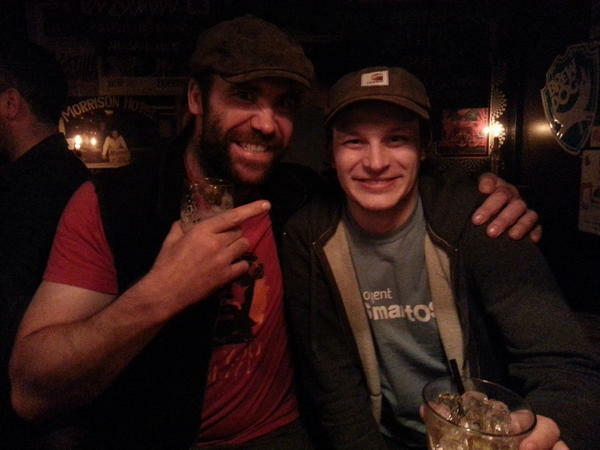 Oct, 2013: I spoke at The Monktoberfest on Marketing Your Tech Talent. Hosted BayLISA for the launch of Brendan Gregg’s book Systems Performance: Enterprise and the Cloud, which, again, I had helped edit. I also filmed Brendan’s beta delivery of his Cloud Performance course, to Joyent staff in Vancouver. Nov, 2013: Filmed a full day Metrics Workshop led by Brendan at USENIX LISA. Brendan also gave a plenary talk at LISA, Jason Hoffman the keynote, Mark Cavage gave a talk on Manta, and I was on the panel on Women in Advanced Computing. Back in SF, I live streamed the first OpenZFS Developer Summit, which was the successor to the ZFS Day event that I had organized in October, 2012. Dec, 2013: I filmed the multi-day Joyent Engineering Hackthon (internal event). Feb, 2014: Brendan keynoted the 2014 edition of SCALE – I had helped him get that keynote slot and suggested the title What Linux Can Learn from Solaris Performance, and Vice-Versa, and then I filmed it. Social media via the SmartOS and illumos sites and blogs, Joyent SmartOS on Twitter, and my own (long-standing) Twitter account, deirdres. Capture, editing, and curation of a great deal of technical video, including filming and streaming Joyent internal training and knowledge sharing, all hands, engineering and customer meetings, etc. Marketing tech talent, as described in my Monktoberfest talk, eg identifying conferences Joyent should have a presence at, then nagging people to submit talks. T-shirts. Lots and lots of t-shirts. And beer. By September, 2012, I had taken back the reins of training, launching Joyent’s first public course: DTrace: Core Features and Performance Analysis, written and delivered by Brendan based on his DTrace book. (That course also includes a 150-page training manual, also written by Brendan!) This was followed by more courses taught by Max Bruning and Brendan, to both public and private customers. I did everything training-related (except write or teach the courses): marketing; sales; management of facilities, staff, and calendars; ordering books; printing course materials, t-shirts, and certificates; communicating with students; accounting; etc. The courses generated high-margin revenue for Joyent, while helping to train both Joyent staff and Joyent public cloud customers, as well as other companies already using SmartOS and related technologies, or investigating whether they might like to. In early 2014, we also began testing online course delivery. I have loved working with so many talented people, both at Joyent and in the larger community. Thank you all for what I was given the opportunity to do and learn. Thanks especially to Ben Rockwood for getting me to Joyent in the first place, Jason Hoffman for hiring me and believing in me, Ben Wen for the “Venti” lunches that kept us both sane. Thanks (first, last, and always) to Brendan, my best test subject and case study. Oh, about the t-shirts, and coffee mugs, and ponies: you can still get them here. And, yes, of course there’s a video. FAQ: Yes, I’m moving on to new adventures. No, I’m not going to say what just yet. This entry was posted in portfolio, what I do on May 13, 2014 by Deirdre Straughan. Cloud Performance training – Brendan (This course has been filmed and edited in its entirety, ~14 hours, over 160 individual videos. You can see a sample, the File Systems chapter, here. I tried to fit in every Joyent employee (current or past) who has been in front of my camera. If I missed you, it was unintentional! This entry was posted in portfolio, what I do on May 11, 2014 by Deirdre Straughan. Conferences: Oh, so many conferences, and trade shows. I’ve done everything from booth duty to designing, creating and running events myself (and everything in between), all over the world. I am also occasionally in front of the audience as a speaker. Events and meetups for user groups, communities, and students (which bring in leads, build relationships, and create popular, enduring content). Video: I’ve been filming technical events and talks since 2007, and began live streaming them as well soon after. Videos here (with more being constantly added). Websites from start to finish, bottom to top: strategy; technical / platform decisions; design decisions and management; implementation management; information architecture; design, management and production of content; application design; ongoing content contribution; analytics. I have written and edited all kinds of technical text: articles, books, newsletters, blogs, documentation, product descriptions, brochures, conference talk submissions, etc. Front-line customer communications: real-time response to product and PR issues. Channelling market intelligence back to developers and decision makers within companies. Community management, including launching and nurturing user and developer communities. I may have been one of the first people to refer to a company’s users as a community. Training: Yes, training is also marketing. Work with PR teams to develop topics and material, write articles for trade publications. 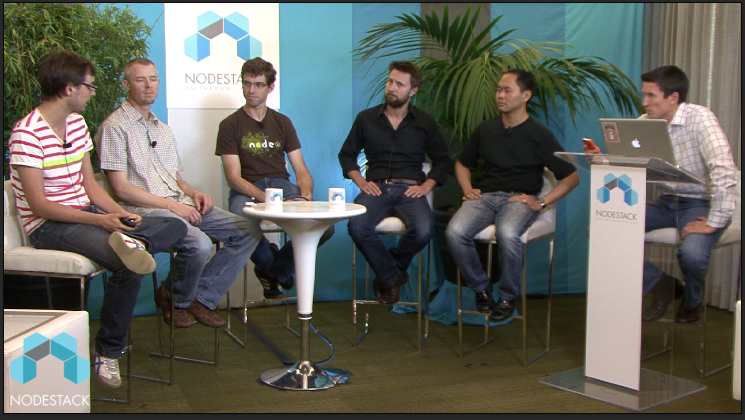 Nov, 2013: Live streamed the first OpenZFS Developer Summit. Nov, 2013: Filmed a full day Metrics Workshop at USENIX LISA. Oct, 2013: Launch of Brendan Gregg’s book Systems Performance: Enterprise and the Cloud , which I had also helped edit. Jan, 2012: At the request of the conference organizers, I encouraged Brendan Gregg and Robert Mustacchi to speak at SCaLE, filmed them, posted videos: Robert, Brendan. Oct, 2012: ZFS Day and illumos Day – Two days of conferences organized and mostly run by me. Oct, 2012 nodestack – Beginning the day after ZFS and illumos Days were done, I pitched in to help my Joyent marketing colleagues in an emergency (another colleague had been hit by a car). I provided two solid weeks of A/V work, including live stream production for the event. 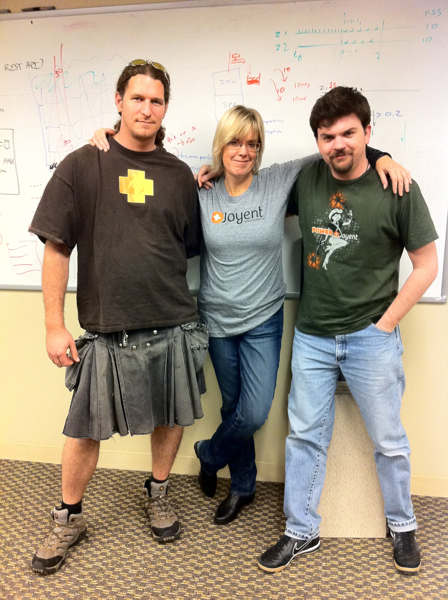 Aug, 2012: Hosted BayLISA at Joyent for an evening of talks on SmartOS. Ongoing: SmartOS site and blog, Joyent SmartOS on Twitter. Ongoing: Capture, editing, and curation of a great deal of technical video. So, yeah, I do a bit of marketing. This entry was posted in portfolio, what I do and tagged what I do on January 9, 2014 by Deirdre Straughan.